The Marienplatz is the main attraction in the Old Town. You can reach it on a short walk from the main train station. 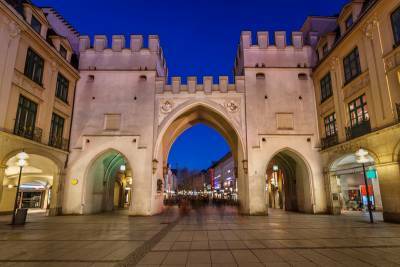 First you enter the Old Town through the medieval Karlstor Gate. 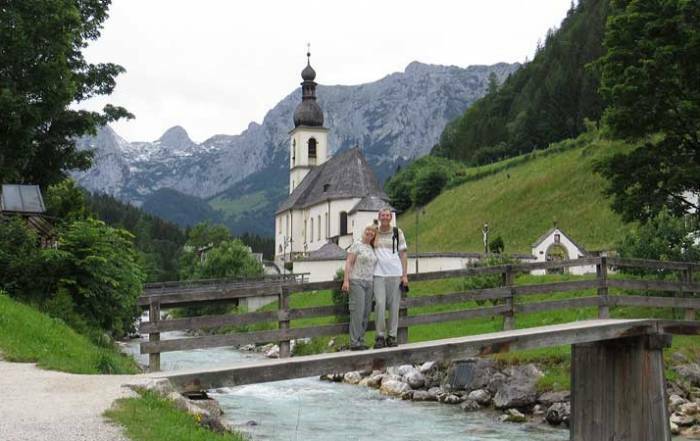 Then you pass the Frauenkirche church, which was finished in 1488. Right beside the Frauenkirche is the Marienplatz. See the figurines dance when the clock (glockenspiel) in the New Town Hall tower rings at 11, 12 and 5pm. 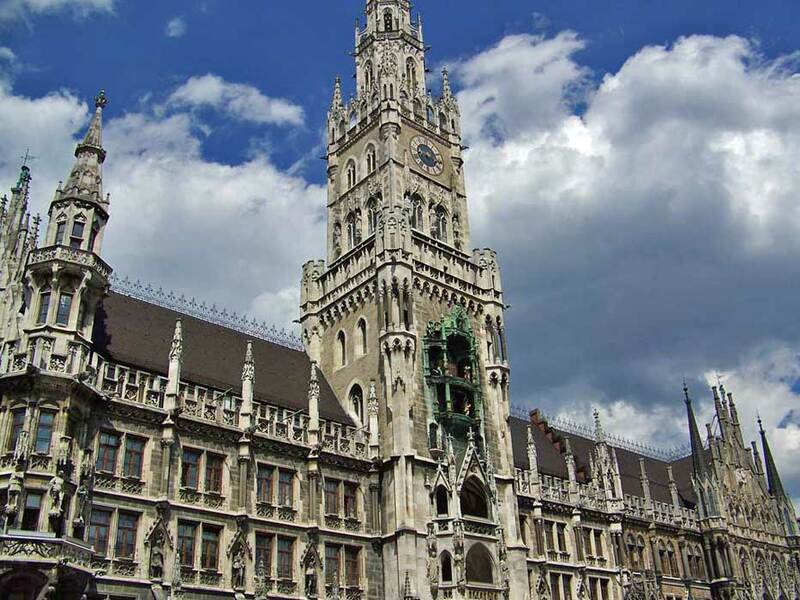 The Marienplatz has been the center of the Old Town since the Middle Ages. 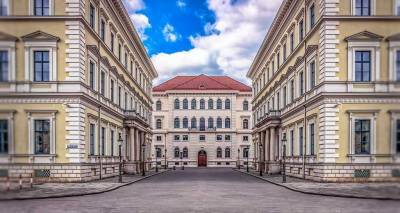 Odeonsplatz – located at the square are the Theatine Church of St. Cajetan and the Residenz Museum with its gardens (Hoftgarten). 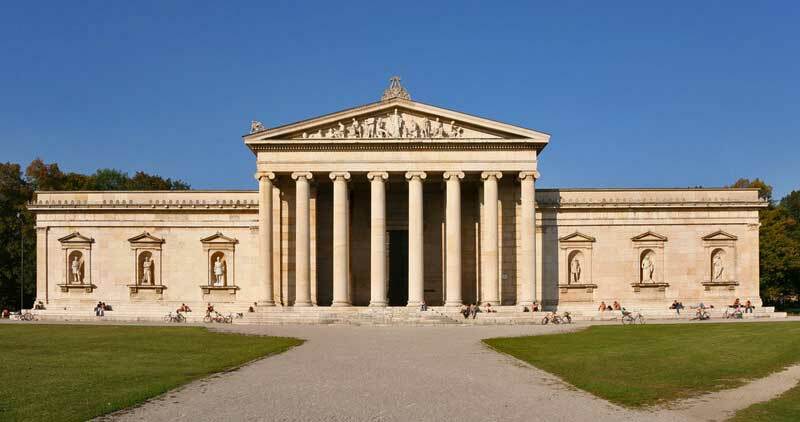 Königsplatz – center for the city’s museum quarter, including the Pinakothek and the Glyptothek with its Greek and Roman collection. Isartor – medieval city gate to the Old Town. Visit Englischer Garten and watch surfers in the garden on the Eisbach River. Olympic Park and Olympic Tower – site of the 1972 Summer Olympics. 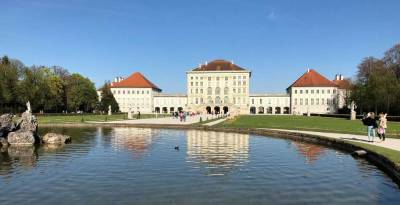 Nymphenburg Palace – royal summer residence from the 1600s with extensive grounds and buildings. 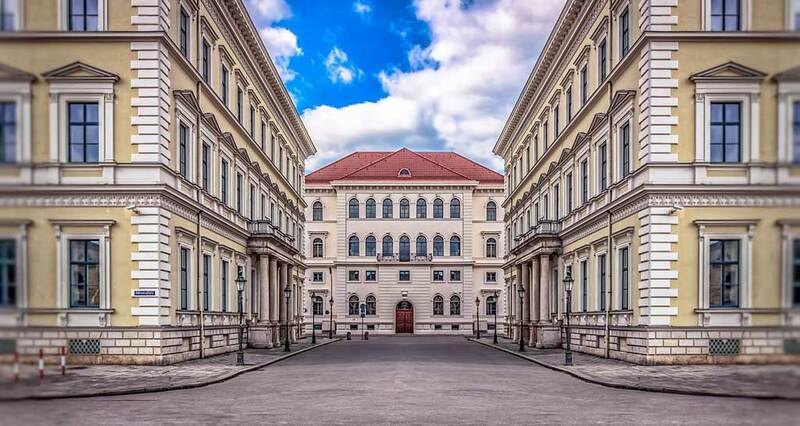 German (Deutsches) Museum – one of the largest science and technology museums in the world. Travel a half hour by train to Dachau to the Dachau Concentration Camp Memorial or take a Guided Dachau Tour from Munich. 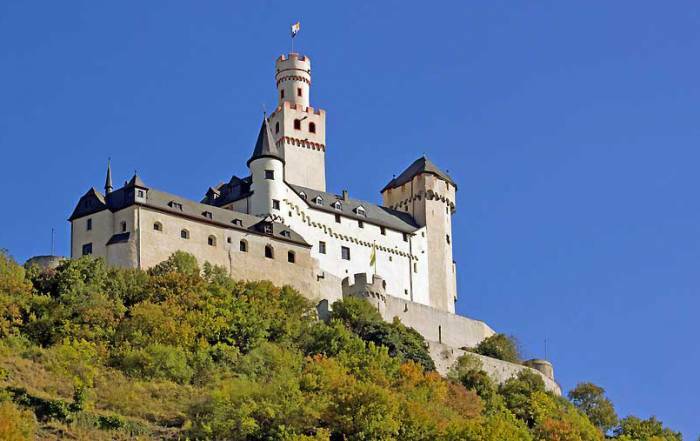 Take a Day Trip to Nuremburg or a Neuschwanstein Castle Visit. 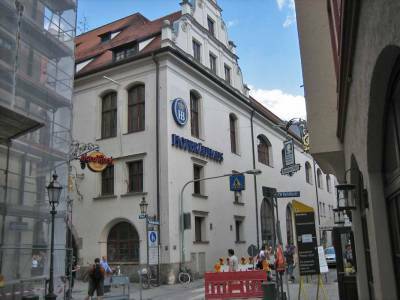 The Hofbrauhaus – a standard tourist stop for beer and Bavarian music. 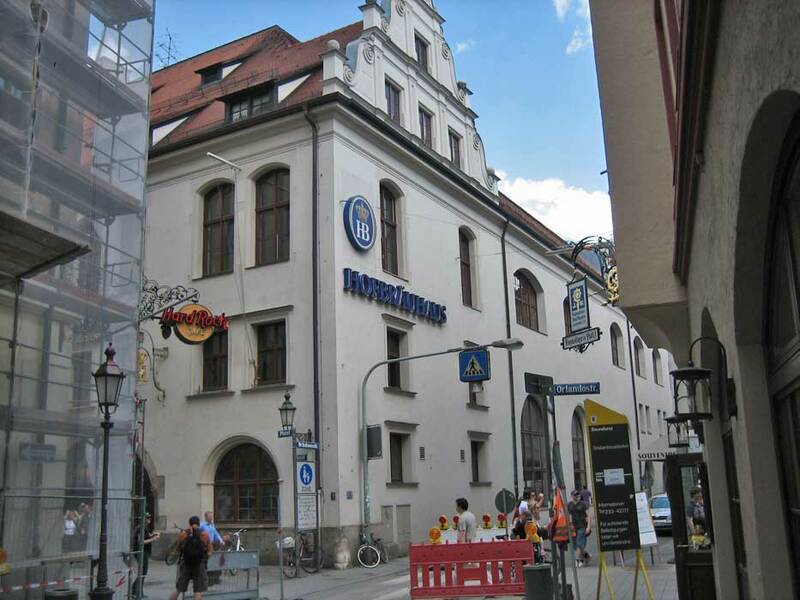 The Hofbrauhaus is within walking distance from the train station with a stop at the Marienplatz along the way. Oktoberfest (Wies’n) at Theresienwiese in October is the site for the annual German beer drinking event. 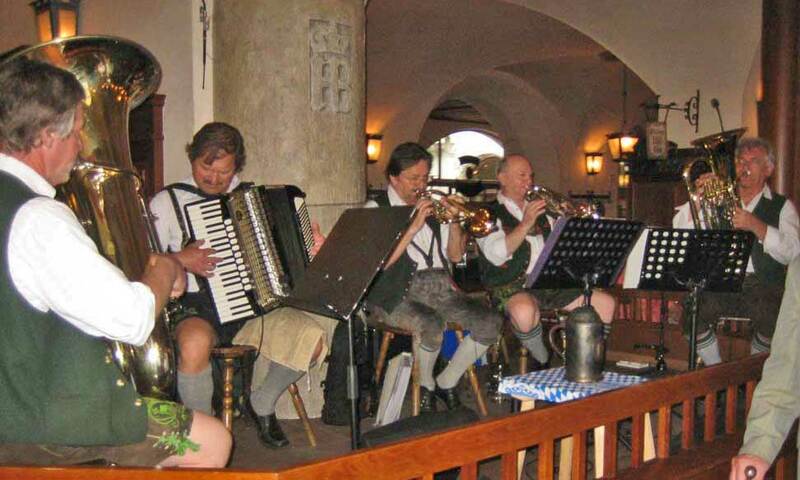 Savor the tastes of German beer, radler (half beer half, half soda or lemonade), bockwurst, bratwurst, sauerkraut, spätzle (egg noodles), schweinebraten (pork dumplings), potato dumplings. 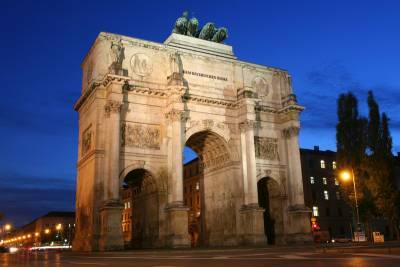 Average temperatures for Munich weather in July and August are 75 F (24 C), while lows are about 55 F (13 C). By December and January average highs are 37 F (3 C) and average lows are 25 F (-4 C). Rainfall peaks in June. 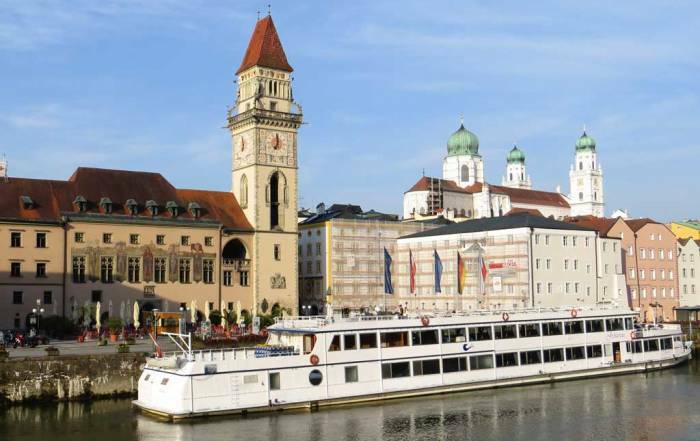 August is likely the best month to visit Munich for good weather. September is also a good choice. 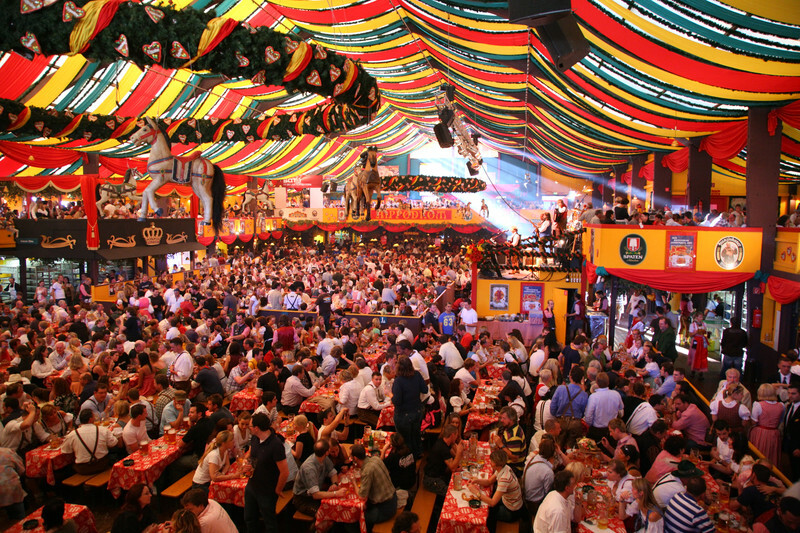 October is popular for the beer festival known as Oktoberfest. Most people get to Munich through Munich’s International Airport (MUC). 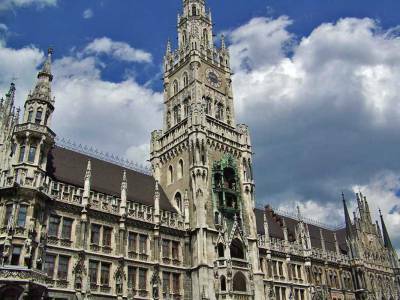 Munich is one of the major airline centers for Trans Atlantic flights to Europe. The central train station is about a half hour cab ride from the airport. 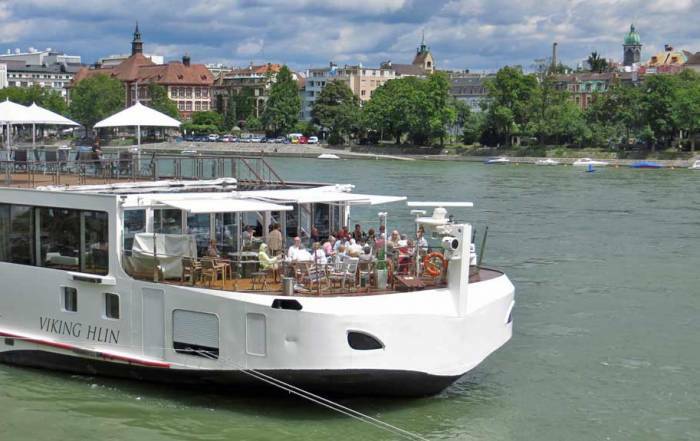 The trip by rail is about 45 minutes, with trains departing frequently. The Munich central train station is gigantic just like the airport. After traveling through smaller cities of Germany by rail, the Munich station seems like a place to live instead of travel through. The rail station has lots of coffee shops, grocery stores, restaurants and other shops. 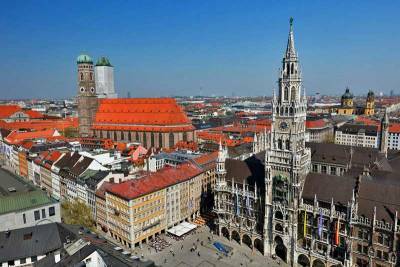 From the central train station, it’s less than a 15 minute walk to the Marienplatz and the Frauenkirche. Munich is the third largest city in Germany. About 3 million people live there. 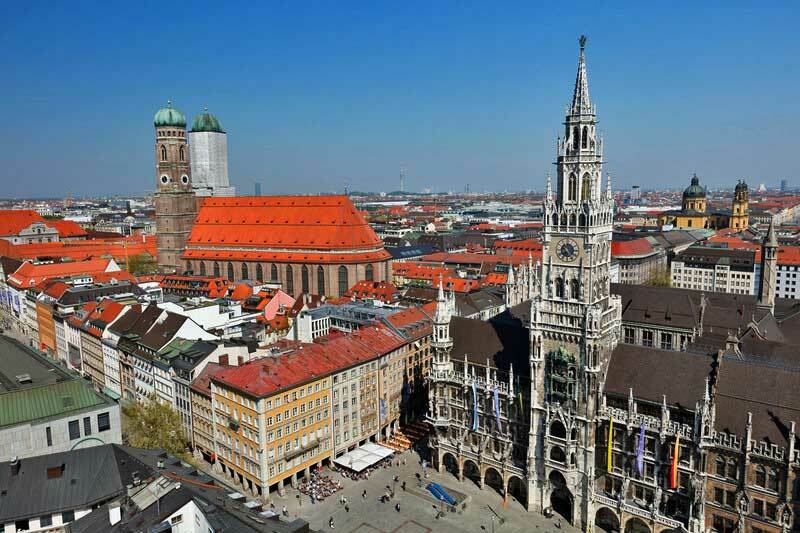 Munich isn’t a major tourist attraction, but its international airport is the start of many visits to Europe. 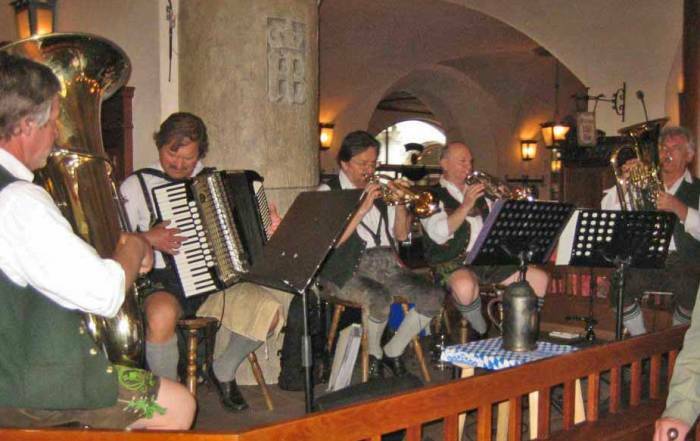 A stop at the Hofbrauhaus for beer and Bavarian music has become traditional for many tourists. Even more well known is the October beer drinking festival called Oktoberfest. 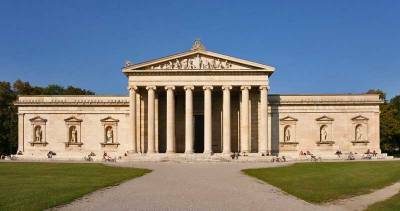 Munich has major universities, museums and theater venues. The city was largely rebuilt after World War II. The 1972 Olympics held in Munich is remembered for the Israeli athletes assassinated by Palestinian terrorists.